Added arrows to indicate changes between the old value ⇒ the new value. Corrected Typo: Fighter should have read “attack performance” instead of range. Type ぽろたろう in chat sometime between now through August 6th’s maintenance to receive several items. You can purchase a PSO2 designed OTP Token device early if you attend the Phantasy Star Festa on August 16th. 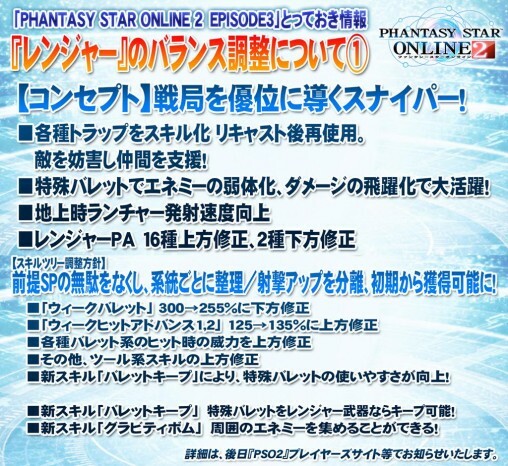 It comes with item codes for a Password Box, 1000 FUN ticket, and a Half Doll. 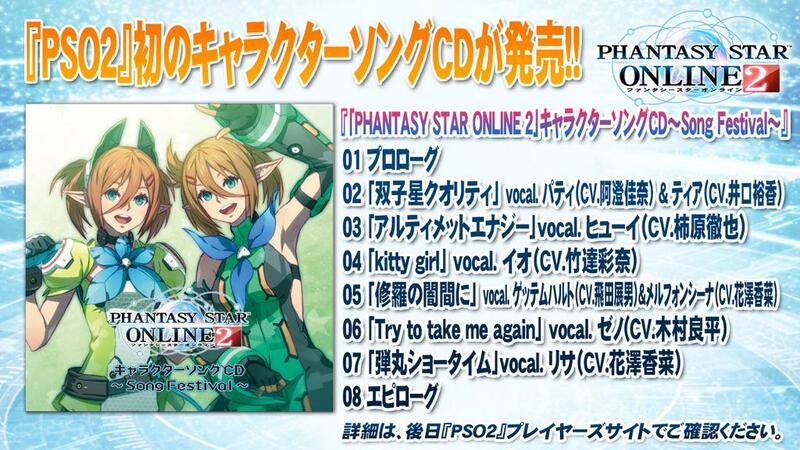 Come sing along to theme songs of your favorite Phantasy Star characters! The album officially goes on sale on August 27th, but you can catch it early if you attend the Phantasy Star Festa on August 16th. The album will include a duet with Melfonseana and Gettemhart, “Ultimate Energy” sung by Huey, “Bullet Showtime” sung by Risa, and more! 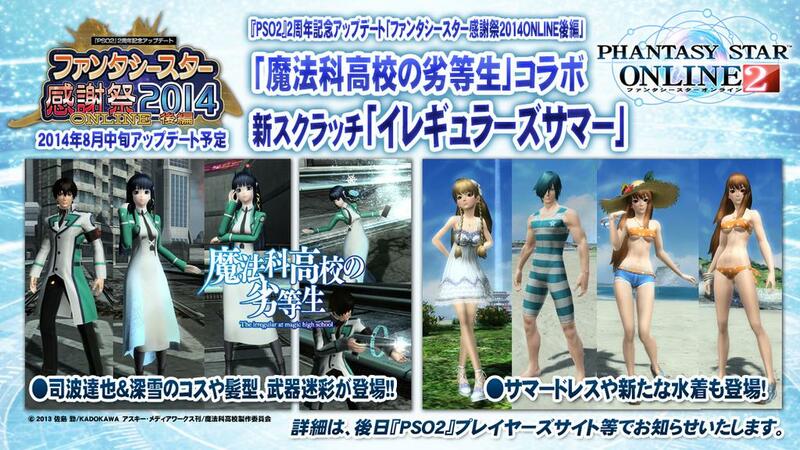 The Irregular at Magic High School’s Costumes and Weapon Camos. 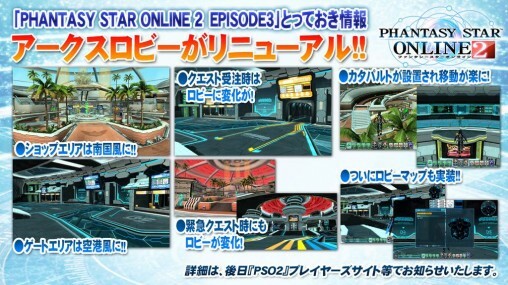 Preview Scratch Content, Lobby Actions, and Accessories. HP / PP Overhead display. The Chat Box will change colors to match the channel. Client Order Items easier to understand. Movement Speed increase when running. Setup an equipment template. Register equipment templates with weapons, mags, units, weapon camos, etc. Urban Recovery Update. Multi-Party Area starting in Area 1. The character will no longer automatically undress themselves when you adjust their proportions. All classes selectable from the start. Relaxed the order in which you unlock fields and planets. 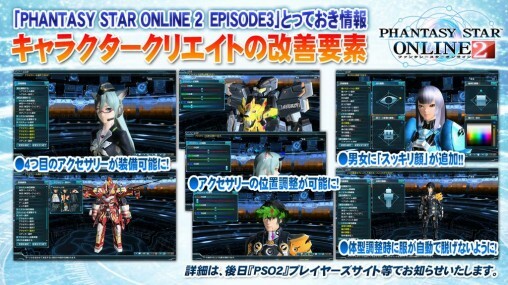 Planet Harukotan will become available if you clear forest exploration. Added Team Order EXP rewards. Team Orders will no longer have set areas, they’ll just be about killing enemies. Improved the support effects of the team tree. Tripled the maximum photon water for the Team Tree. Expanded the means of acquiring meseta through Daily Orders and such. 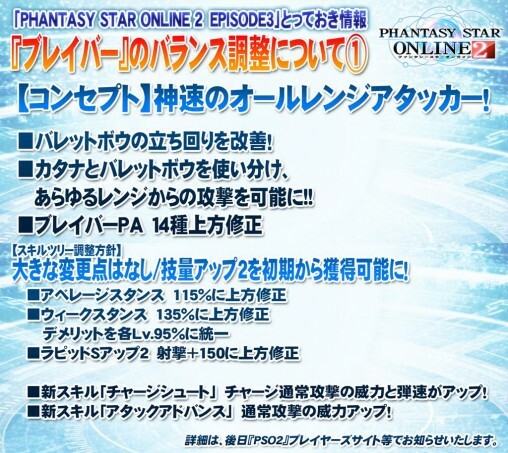 In exchange for increased rewards, Chroto TA orders will become once a week. You can see each player’s position on the map, even if they are not in your party. The game will temporarily save the cursor position for Client Orders, photon drinks, and item appraisals. Vita players will no longer have problems viewing the number of abilities attached to an item at the top of the screen due to the EQ announcements. 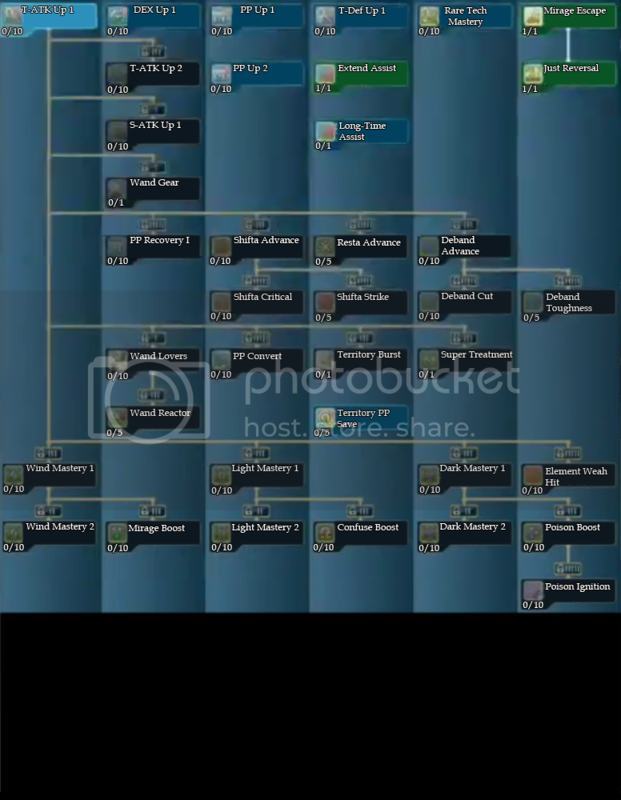 Adjusted the layout of the skill trees. New Skills Added for each class. Reduced the required skill points for some skills, allowing greater freedom. 105 PAs ↑ out of 120. 28 Technics ↑ out of 42. Sped up attack motion speeds, Recovery Frames , and improved the attack range. You can specialize towards increasing defense. Protect your friends by playing as the Tank to attract enemies. No demerits on Guard Stance. Iron Will +5 seconds of invincibility time. War Brave: Increases power depending on the number of enemies attracted. Healing Guard: Recover HP during a Just Guard. Combos strengthened through new skills. Chase Advance: 140% ⇒ 125% nerf. 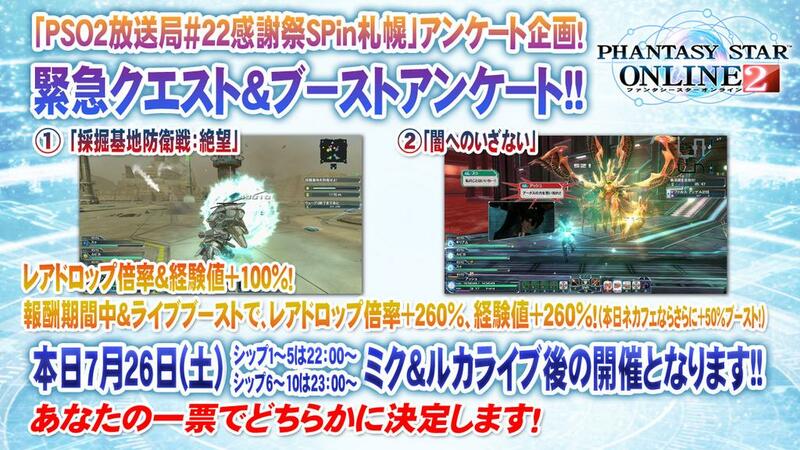 Tech Arts JA Bonus: Power increases when using different PAs/Technics through Just Attacks. 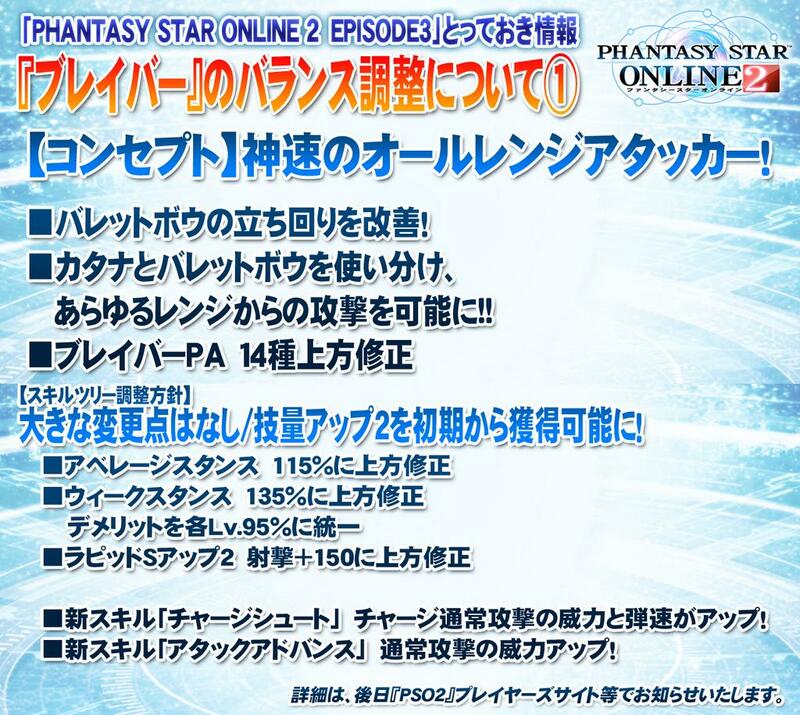 Limit Break: Greatly increases S-ATK, while greatly reducing the maximum HP. 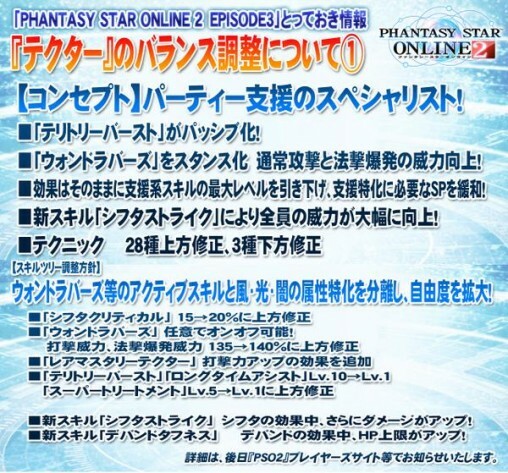 Doesn’t have any drastic changes to the skill tree, however, Ability Up 2 will be available early on. Charge Shot: Increased bullet speed and power of charged normal attacks. Attack Advance: Normal attacks power up! Disrupt enemies and assist your allies. Launcher’s firing speed will increase when on the ground. [Bullet Keep] makes it easier to use special bullets. Bullet Keep: Keeps special bullets as long as there’s a Ranger weapon. Gravity Bomb: Gathers nearby enemies together. It’s now possible to use chaining as your main fighting style. Showtime: 30 ⇒ 45 seconds. Hate buff. Twice Chain: Doubles the speed of the chain number. Chain F Bonus: Shortens the recast times based on the chain number. Skill tree separated into Element Specialization or Power. 28 Technic Buffs, 3 Nerfs. 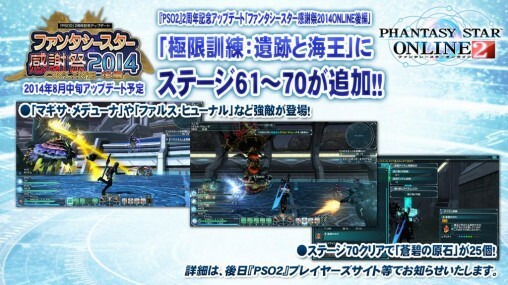 Photon Flare: HP drop removed. Recast Times: 120 ⇒ 100 seconds. Some recast times improved for other skills. Charge Escape: Continue charging while escaping. Wand Lovers becomes a stance. Normal Attack and Tech Explosion power increases. Rare Mastery Techer: Added an effect that increases S-ATK. 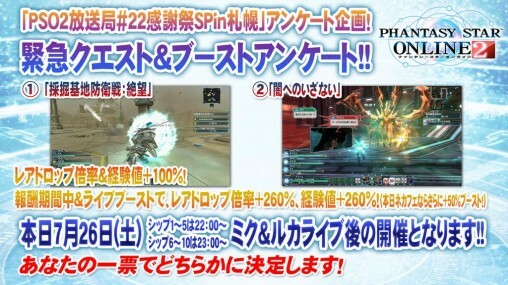 Shifta Strike: Further increases damage during Shifta. Deband Toughness: During Deband, Max HP Increases. A hybrid of support and highly maneuverable attacks. Break Stance: Specializes in breaking enemy parts. Elemental Stance: Hit the elemental weakness. 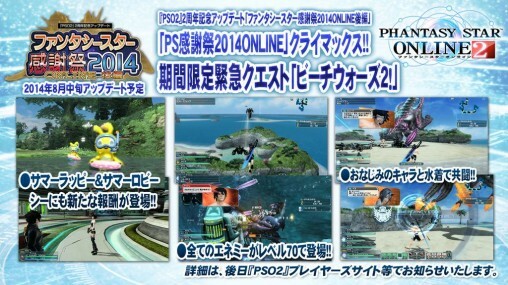 Critical Field / Elemental PP Field: Strengthens one’s surroundings. 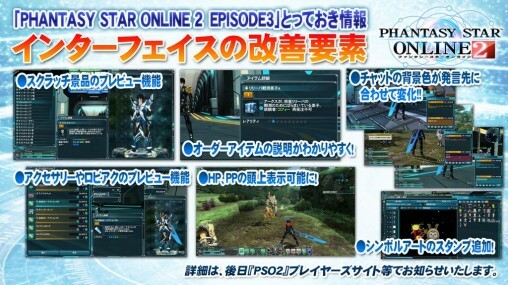 Photon Blade Fever: Doubles the Photon Blades. Bouncers have the mobility to reach enemies quickly. Bouncers can automatically release support effects. I’ve heard rumors of Combat Finish nerf, don’t see it listed here. Is it true? Weak Bullet is being “downward revised” to 255%. Thank you for doing this, you’re awesome. I think they may have intended to put “Extend Assist” where they have “Long Time Assist”. Long Time Assist already only has one level, and the new skill trees they showed off show Extend Assist with only one level now as well. So, is bouncer a main class or sub-class of braver? Relaxed the order in which you unlock fields and planets. The unlock orders are already very easy why make them even easier? They have been making unlocking stuff so much easier what what i remember in early OB. I remember people dropping the game after seeing unlock requirements for Hard. I enjoyed the difficulty. It gave you a sense of accomplicement when you succeeded. Now it’s like it’s natural to unlock a new area or difficulty. There was nothing “hard” there, just farming super easy to kill mobs for hours. I found s-ranking missions with a strict timelimit while having to deal with a lot of codes all the time challenging. Between Fury Stance getting nerfed BIG TIME, the major OP PAs and techs getting nerfed, and a whole fuckload of PAs getting buffed, S Roll JA Bonus was due for a nerf. And even after the nerf, it’s still so powerful that you have to be stupid not to use it. So, you know, don’t make these silly knee-jerk reactions when you’re just tunnel-visioning on one thing at a time. Couldn’t agree more. And the CT buff looks good on my book. If most classes are out-DPSing you as gunner, then you are doing something horribly wrong and need to play an entry level class like SatSpamm– Ranger. i trying to to make Gu/Ra and never be able to do decent damage except if i manually aim at the head all time, solo-ing something like quartz dragon in SH is a pain to do until u can destroy its head crystal, and no “Satellite Cannon” is a bad idea to fight Quartz. 1. so they’re forcing Hu to be more and more defensive class every patch eh? At least they should make PP to recover from Just Guard instead of HP. btw there’s a (1) after the sentences with class names, does it mean there’ll be more balance changes? 3. nope Gu isn’t weak, even if they nerf S.roll JA to 120% Gu is still a strong class. 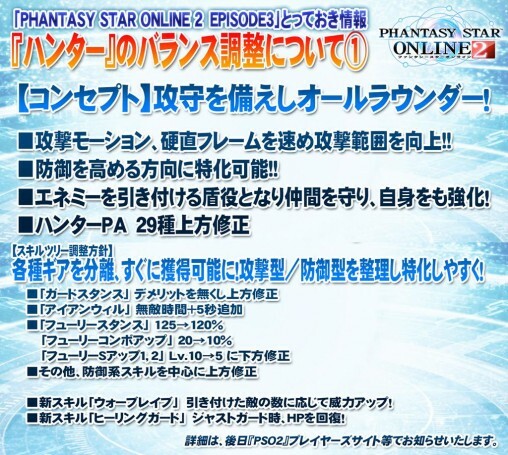 It’s just that most players spam Infinity Bullet and Elder Rebellion instead of Heel Stab and Mesiah Time which have much higher DPS rate(yes, DPS rate not dmg/hit) and many od those Lv 70/70 don’t even know what the “Just Attack” system is but still max the S.Roll JA bonus skill so basically, they maxed the skill but don’t get any buff because they can’t do Just Attack after performing Stylish Roll. also if Gu can really use Chain as main style, then Gu’s DPS rate may increase a huge time, only for fighting a single target though. Finally I hv found someone who understand the art of Gu!(you). And for dps thing in the ( ) I just meant to point out that dps is not dmg/hit because there’re people out there who think dps means dmg/hit. also I don’t know why SEGA try this hard to buff Show Time, when the boss lock its Hate on Gu, you can be sure its Atk and moving patterns will be unpredictable because it’ll try to follow the random movement of that Gu and that means the other 11players near the boss are f*cked. Maybe i do something wrong but, i never found when the invincibility time kick in on “Messiah Time”, “Decol Malluda” Bullet shower “Ragne” Back kick always hit. Messiah time isn’t fully invulnerable, there are still moments you can be hit. but yeah, about the other stuff. Having all the classes from the start Is a damn joy. 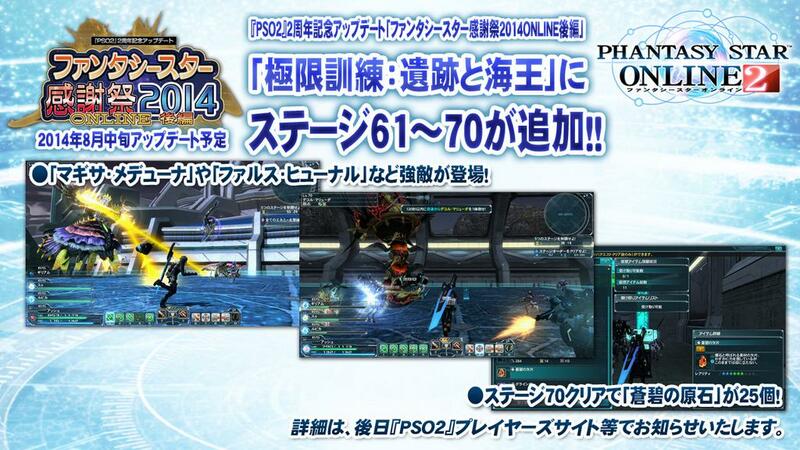 Sega should’ve done that from the start… but hey whatever, more classes from the start is good in my book. Its also interesting that Klotho is once a week now. though, are they still gunna keep the Idea of reducing his rewards? because if thats the case it’ll be stupid for once a week if he’s going to give 1/4 of the rewards he had normally. My primary character is a Gu/Hu tank, 1751 S-def, 1273 HP, and the best two things I’ve read so far from these Episode 3 announces are Defense Specializations for Hunter, and location adjustment on accessories with an additional slot. I’m REALLY hoping that some of these improvements aren’t just basic defense stat buffs, but actual things of use like passive threat, mitigations, ability tie-ins, and other fun things we need to be real hate sponges. I’m interested in knowing your skill build tree for tank. I’m trying to build a tank too but don’t want to waste points into something that isn’t that useful. Looks like Hunter is still doomed to be a subclass. No point in trying to tank for a party when hate is so easily overwritten by someone with more DPS. With the damage nerfing and defense buffing, soloing is going to turn into a butterknifing fight for both you and your enemies. Except you’re made of invincible photon wall. It almost feels like they’re encouraging players to not even bother swinging their weapons and instead just spam War Cry and just guard all the incoming attacks. The least they could do is remove the need to buy just guard. I like that Fighter can now work with Force or Techer, dat Limit Break and PP Regen skill that drops HP I forgot the name of. No HP berserker wand loving Techer here I come! But first, buying a new skill tree and mag. Braver is iffy for me, I never understood how to actually get strong with it. Even though I know it’s stupid strong(enough for nerfs even) it felt average to me. The changes don’t look like they’ll do very much. Maybe the PA adjustments will. I don’t know if Sega actually knows what to do with Force and Techer. Their changes seem to sway from being stupid strong to “why is this even here?” Really all they have to do is make every tech useful instead of just a few of them. For me personally, that’s all I’m asking for. I do wish they had tech explosions scale on your stats more though, but I know that would make them ridiculous for mobbing because a billion enemies means a billion(and 1) explosions. Just my two cents on this update. Aggro doesn’t get overwritten by anyone when using War Cry. War Cry guarantees aggro. If the tank get perfect Hate, he can stop annoying bosses like Loser from turning around randomly so others players can easily land their Atk on the right spot and makes it easier to read and dodge the boss’ Atk patern. Yesh, only if the tank can get full hate, and no other tanks to play “aggro ping pong” with him. I think they ARE making every tech useful (though most were already), seeing the “28 Technic Buffs”. As for the changes, some of them should have been there from the start, like the Territory Burst and Wand Lovers changes. 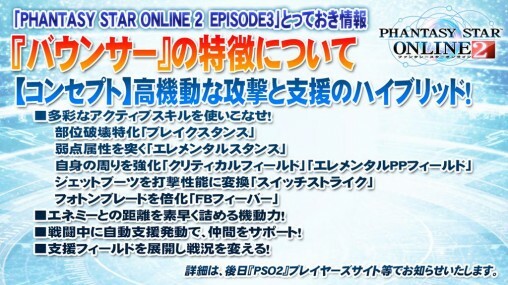 As a main Force I personally welcome the “Charge Escape” skill with open arms and seeing Super Treatment only having 1 level is awesome, the Photon Flare and Shifta/Deband changes are great for those that want to play the healer/buffer role. plus I have two Hunter SKill Trees, one thats strictly S-Def and the other S-Atk while Braver as my Subclass with two Skill Tree sets, one Strictly Weak Stance and the other Average Stance. also, loving the new Ship Designs looks more colorful then the current bland lobbys. the shopping center looks tropical while the gate lobby is more airprt like. I think the Shopping district is going to get more love. I think hanging out there would fit better. well my opinion anyway rther then people being in the gate lobby. . -. theres alot of things I can say about the new improvements and nerfs on the coming update. and I love alot. all the classes are balanced this time around, so you wont see people using GU/HU 24/7, which is what everyone is atm…. not to mention that the Techer Class has improved significantly!! its awesome! it encourges for more Healers this time around. having this update coming, how wold the enemies stats would be? I would assume they’ll be stronger due to the changes. hopefully more HP and all around Def, while weaker enemies would get a small bit more of Atk? but we will have to see how it’ll turn out once the update is released. This is the TE stuff i have been waiting for a long time. I have been using TE/HU as a main for a long time. Im very excited to play around with a few ideas. Im also really excited about the GU and HU changes. GU/HU and HU/FI will be just fine for those of you who are worried. There is just slight changes in the way you will play GU. If you look closely you will see some skills between different classes that will link up great. No it’s not, unless they make Cain Trigger a passive skill this will never be the case. 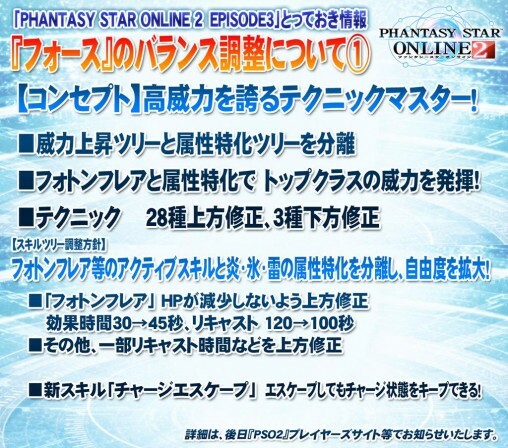 I really hope the 2 PAs that doesn’t receive a buff are Messiah Time and Heel Stab. Can I borrow your time machine? How’s the new lobbies? How about the PA changes? How much did Faceroll Cannon get nerfed? How’s Bouncer? Everyone will be Bouncerbroken… inb4 it happen. As for this nerfs… it’s a matter of time, people will find again something broken and use it till the next nerf. SEGAc. And, for elder rebellion and infinite fire, I never liked them and probably is the only 2 PA I use once every year. While people does Infinite Fire I have shooted like 3 Heel Stab (or more)? 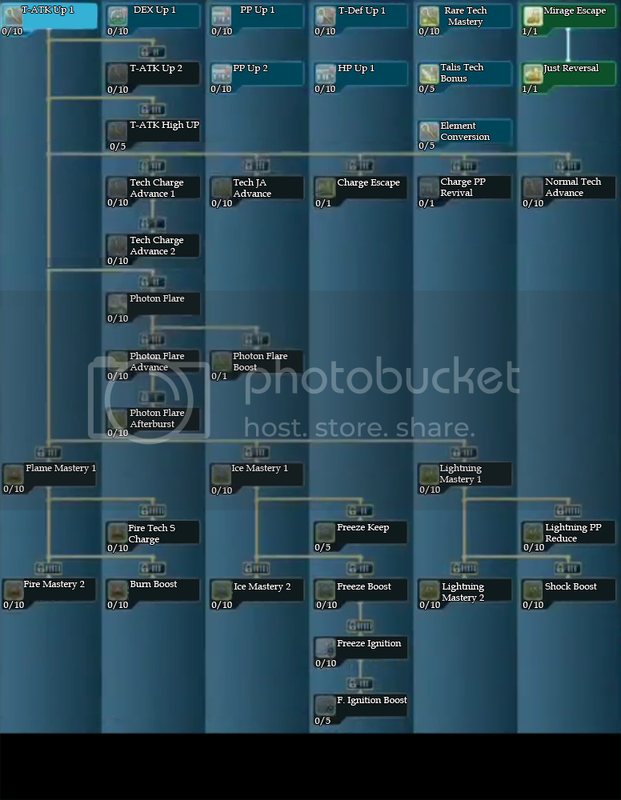 Can’t wait to see what’s gonna happen on skill tree. Tho don’t like what they are doing to hunter. They could have nerf it only if was used as /sub. Of course the balance won’t be perfect. The only way to reach ideal balance is to make everything same. Its even less likely to sustain balance when you constantly add various content and skills. I tend to agree with the Ilmegid nerf, that tech was just too “easy-mode” and got kinda annoying seeing every other Force (or Techer) using it on everything instead of playing the elemental weakness route like myself, though Foie is still #1 (laughs at Ilmegid users in TD). As for Ilbarta, i honestly don’t know it depends how big of a nerf it gets. Right, because all the other classes being faceroll (if you spec right) is ok but not if fo or te do it. Please. Please specify what you mean, sarcasm is not needed, i was only talking about Fo/Te due to the IL techs being nerfed, what other classes do is another topic. Using same tech on everything is coz people have 1 tree only and max it! with elemental weakness route u have to buy 4 more trees for FO and TE and also have 6 different elements weapons at 50% to be more efficient! Not everyone has the real money to buy trees and lots of meseta to grind and affix 6 different weapons! TBH is not even fair when most people on the other classes only use 1 tree for their main and HU sub with Fury tree with like only 2 element weapons (light and fire). I’m not attacking those that use the same tech on everything (like elysion+sazan techers for example), specific builds is also another thing, but when 1 tech is being constantly spammed by the mass, something is really wrong and due for a proper nerf. I have 2 trees myself, but i mainly use just 1, yes i can’t max out everything and no i won’t ever do max damage this way, but i like to be versatile in most techs (not all) and concentrating on weaknesses helps loads in the damage apartment. As I said, it’s only a matter of time, you will see after nerft ilmegid, ppl will spam another one over and over and over. It’s in the nature of most ppl to use what does more damage, check how many bravers out there after shunka was released. Simple and clear. I don’t know why such hate on il megid users in TD also. When they around, TD is more easy to clear. In anyc ase if they want nerf stuff so be it. Though, they should balance every class to do almost same damage, not x-class stronger than other. Also it’s highly possible it will only bother you if you don’t use imba techs/pa’s yourself. nah lol Sa Zan is one of the weakest Wind Tec. ppl use it because it doesn’t require any condition or player’s skill at all. the truth is Zan can do like at least 5times higher damage than Sa Zan but the user needs to know how to use it, right range, right angle. recommended to be at lower attitude than the target while using Zan and you’ll see how epic it is, also Zan can pass through some walls(and it’s good for both vs mobs and vs 1target). Sazan with Elysion I mean, which was OP. I actually tested that, my lv50 Te’s Zan did much more damage than a lv60 player’s non-charged Sa Zan with Elysion +10/3 . I was using ilmegid in TD1, Td2, not in Td3 cause was going brokenbraver for exping. Never had such problems with Il megid in TD2,not at all, scarred mobs or not, most times walls up, and believe it or not, I dont care if mobs are scattered, as long we finish with all towers up. Plus with a 4 slot unit and 5 slot dark rod with skill tree on dark and element conversion they wont have last long anyway. Now add that I’m not the only force using il megid in Td2 and is done. I don’t care who does more points or who get more crystals. But with proper equip using il megid is a pro and not a cons. At least until nerf. I like to win with 5 towers up, not see 1 tower left so I don’t care if people spam ilmegid or whatever for doing so even if Im Fighter or whatever other class. Now, is different. With the new Td3 people sorta got lazy with td1 and t2. Some people afk even in Td2 on middle of room for exping. You won’t believe but I seen few doing this AFK in 2 runs in row. Il Megid needed to be nerfed, just like Shunka was, and S-Roll Bonus is. When a class is spamming one ability exclusively, that’s counterintuitive to game design and means that something’s seriously wrong with that ability. It’s also my firm belief that Sega should super-buff bosses to make them impossible to solo. People would actually start playing together then. And who say after Il megid is nerfed ppl wont spam another tech (example Sazan) all over again? It’s already hard enough to find people to play with outside of TAs/XQs, this will not make it any easier. @Black Pearl: There’s always going to be certain abilities used more than others in games like these. It’s the way things go. But when one is used EXCLUSIVELY above dozens of others, that’s when there’s a problem. 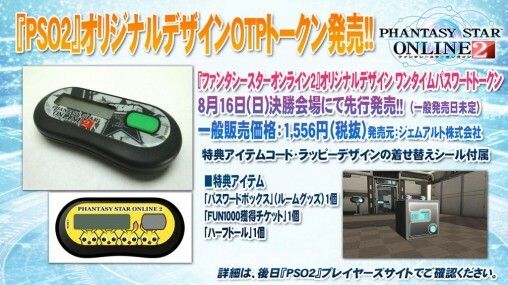 @Nuku: I’ve been a staunch supporter of Sega implementing some sort of endgame beyond the garbage that is AQs and XQs. 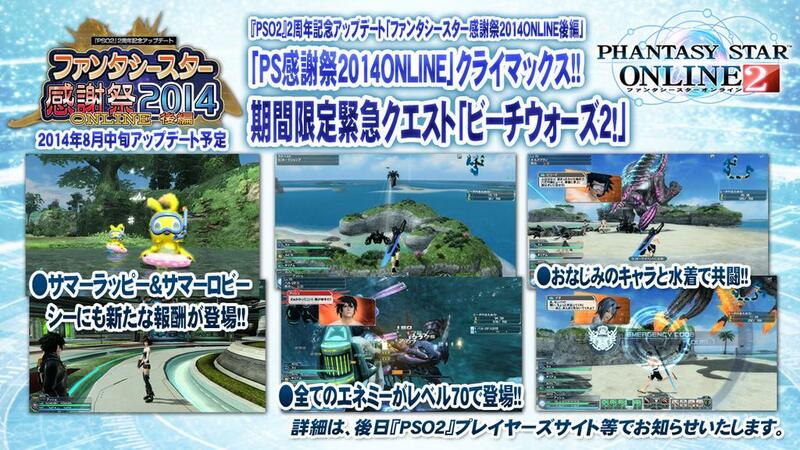 They’ve shown us it’s feasible with the Falz fights, now give us an entire area’s worth like it. @Wohdin: Force people to group up and they will. Sega wanted people to be social in this game but aren’t putting any sort of game-changing advantage to do so. Making bosses REQUIRE multiple people will almost instantly kickstart active partying. 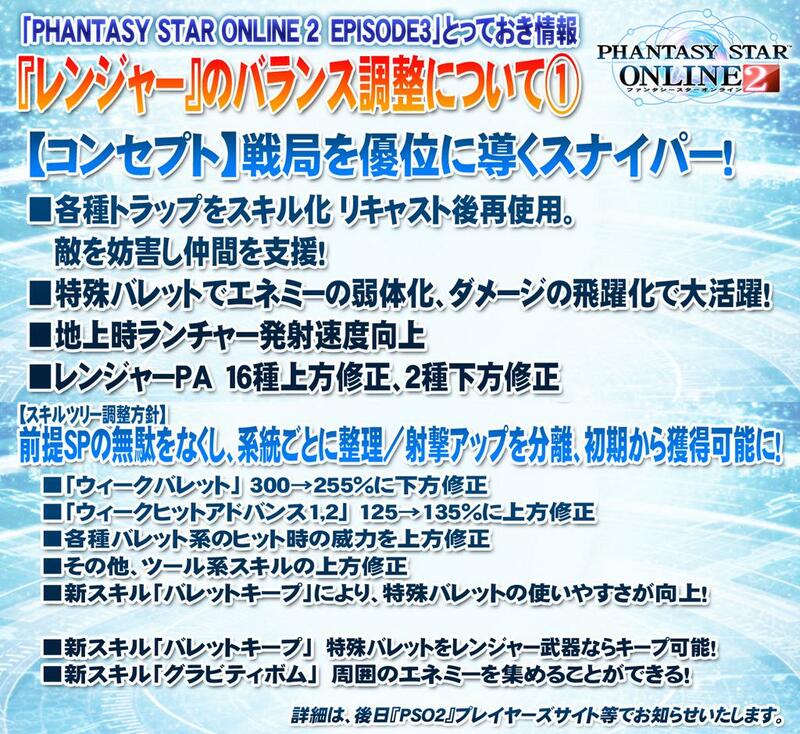 at least after the major want of NTT telecom getting their act together and announcing the new routing for pso2’s IP range. and then, all of my want. They’re probably going to just reset everyone automatically. They will give all skill reset pass as usual they do probably. 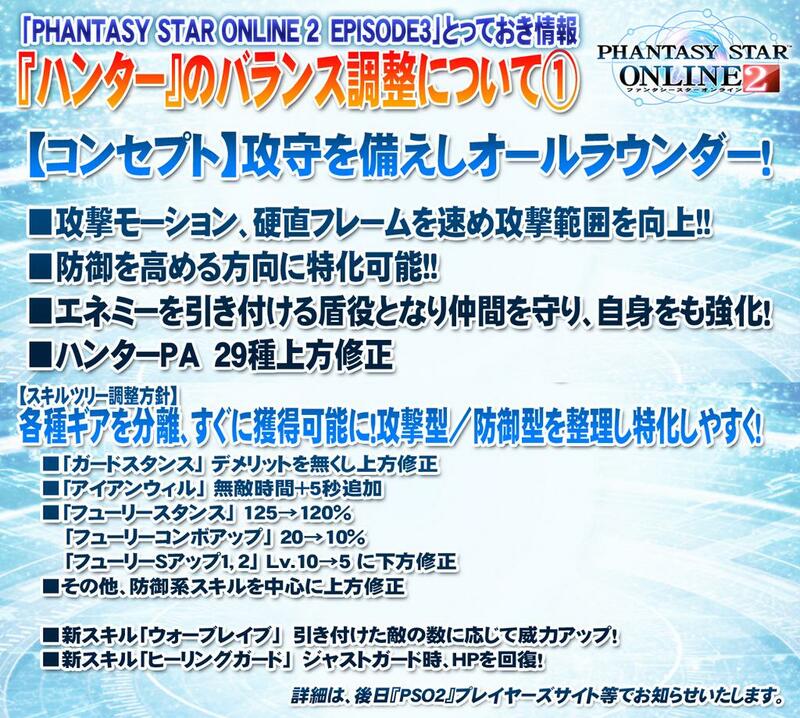 Considering the changes are going to involve lowering the level cap of certain existing skills, it will probably be a global automatic reset, since that would be the easiest to do maintenance-wise. LOL. The nerfs and buff do affect how i am gonna go my Br/Hu class type. Surprisingly though, my lv 63 hu has higher dex then my lv70 br. I keep getting an unknown server status and error 249. 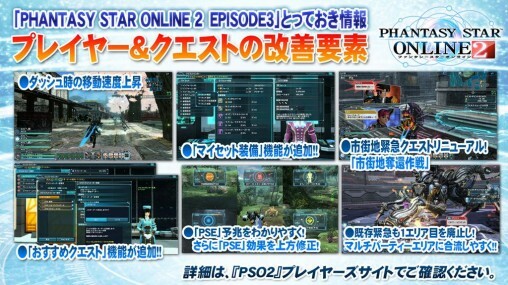 I’m in the US and not using a VPN to play PSO2. First time back to the game in months. Why do I keep getting this error? 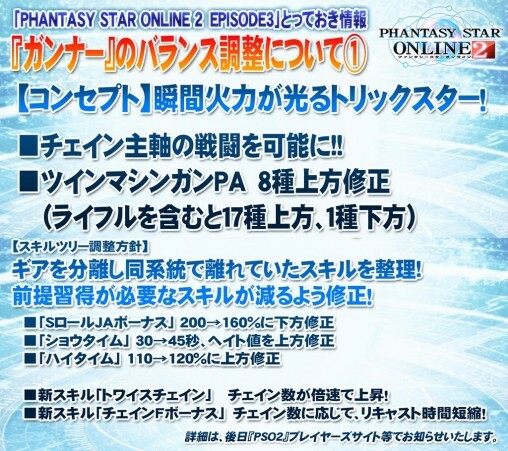 There was a DDoS, which prompt sega to move servers and either them or their corporate ISP (yahoo.jp) stopped foreign, non japanese ISP’s, from connecting to their servers by either some sort of block or by not announcing their DNS servers to the rest of the world. That said, getting around said routing issue, you can either call up your ISP and ask them about trying to get them to connect, move to japan, or use a proxy or vpn service to connect to the servers. 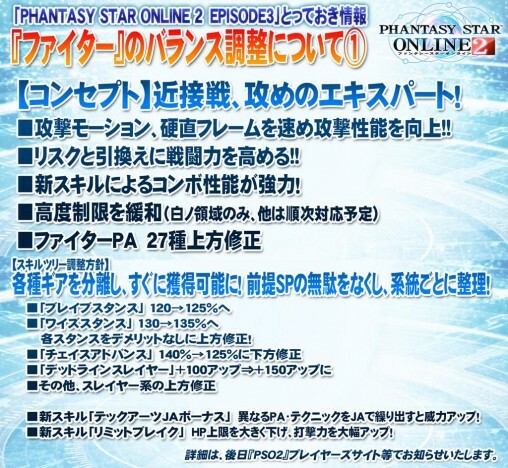 Certain large US ISPs, such as AT&T, continue to block traffic to pso2. 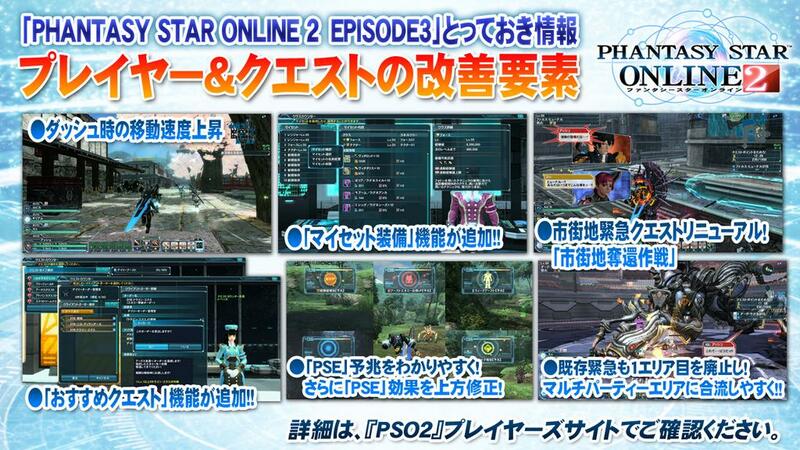 I use the Verizon Wireless network to play pso2 now (e.g., a Verizon WiFi hotspot). I do, do you got a problem with that? I play and stream/record and upload the most time APB Reloaded again, so im ok, it sux i cant connect with or without vpn. so dont worry im ok. I am calling my isp. Hopefully they will fix the problem. If not, then I will be playing MechWarrior Online. MeikoV3 is my username. Well the bad news is I would have to use a VPN which is very risky.. I don’t know if I should go try it. -_-V….. But basically, this is it for Vocal Patrol. It has been fun playing with you guys. Who ever did this Ddos really accomplished something, and that is close the game for any foreigners. 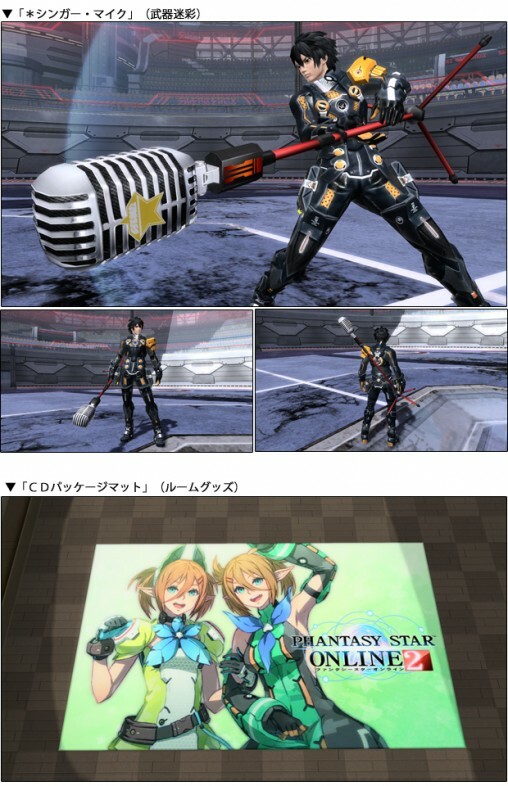 Someone really is a racist troll some where on PSO2. Wish we could live in a world where such petty things are obsolete. Yea so hit me up on MechWarrior Online. I may try to download the Gundam Online game. It looks like fun. 51 vs 51 Gundam action! Hey THIS IS NOT TRUE! i helped in this guild, i helped the randoms so good i was able to help so stop saying such stuipdy stuff…. it sux enough that i and some others still cant connect. Also, in the video, it showed that they were LV45 with 45 remaining points. This leads me to believe that..
..are all now known by default.